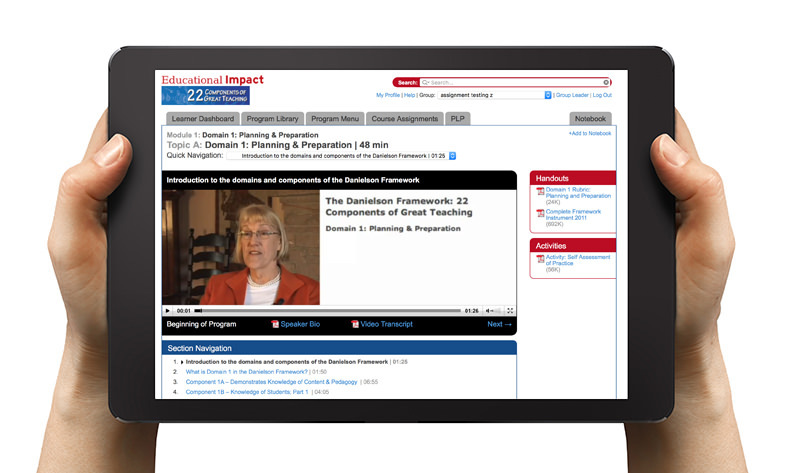 EI is a leading provider of online video for K-12 professional development and college teacher preparation courses. Our full time camera crews travel the world filming educational experts and real teachers in action. 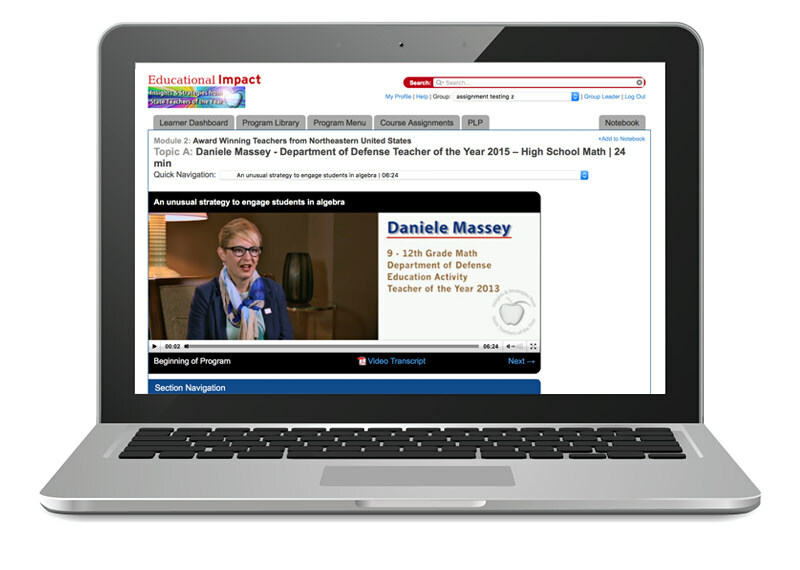 We pull it all together to create engaging on-demand programs and courses. We have developed a robust learning management system with a massive video library and customizable series of online courses. Simply put, we grow great teachers. Our programs and courses are based on hot topics and must-have skills in education. We are 100% focused on content that aspiring teachers, first year teachers, veteran educators and administrators need to know to be exceptional in their field. With over 500 hours of video content and 125 custom course templates to choose from, we help you select just the right content to meet your needs.